It was 2 am on Saturday morning. Most of my friends were grabbing their final drink of the evening at the bars in Portland. But, my friend Brian and I were 3 hours away – just waking up at a cabin on the McKenzie River. It would be about a 90 minute drive to get to the base of the South Sister – the third tallest peak in Oregon. This represented a big shift in my life. Why? It would be one of the first things I crossed off the bucket list I’d formed a few months prior and would set the stage for a life adventure and action rather than passive rule following. The ascent was more difficult than I expected it to be, but still relatively tame as far as mountain climbing goes. I can still vividly remember climbing the final few steps up to the point of a craggy rock that represented the actual summit. I would never have climbed that mountain that day were it not for creating my bucket list and this blog. And it all started by doing one thing. How Did 2017 Go for You? How many things did you say you were going to do in 2017, that you simply didn’t get to, pushed to the side, or just plain forgot about? If you’re like 99% of the population – probably more than you’d like to admit. In March of 2009, I created my bucket list. To hold myself accountable for all of that stuff I’d always said I wanted to do, but never made the effort to pursue. Writing that list was step number one in my personal transformation. Publishing it changed my life. So why should you create a bucket list? After all, that’s got to be the stupidest term of all time, right? In fact, I used to just call it “The List” until I changed it for SEO reasons. To put it simply, the reason you should write out a bucket list is that there will be no easier time than this next month to initiate change in your life. Sure, in theory, it’s just as easy to start making changes in September as it is January – but mentally there’s something about the first month of the year that lends itself to creating a fresh start. Within one year of creating my list, I’d climbed a mountain, worked from an exotic island, created a successful business, and much more. All it took was the courage to start. As you can tell, I owe a lot to the list with the stupid name. So let’s make it really easy for you to spend a few extra minutes today creating a list of your own. Here are ten useful tips for writing a successful bucket list, that will help you make 2018 the most productive, adventurous, and fun year yet. After you’ve watched that, here are ten things you can do to not only start creating your bucket list but to actually accomplish the items on it this year! This is one of the most important aspects of a successful bucket list, and why I put it first. As with anything in life, if you don’t have some form of accountability, you ultimately won’t follow through. You know better than anyone what works best or you, but I will say having a close friend who will constantly check in on your (and vice versa) is a great way to ensure you’re both staying on track and not letting comfortable routine take over your life too much. Talk to your best friend about creating your list together. Set a goal for when you have to have the first thing done. Note: Don’t have anyone in mind for accountability? Check out Location Rebel Academy. It’s easy to just start listing off every major tourist destination in the world and call it a bucket list. But for most people, it’s going to be awhile before you can plan that trip to the Eiffel Tower. It’s really important to have a bunch of things that you could sit down and do on a Saturday if you wanted to. Eventually, you’ll hit a point where you aren’t making progress, you’ll get frustrated, and stop making it a priority. If you have a bunch of things you can do over a weekend, you can easily get yourself out of that rut. Try to make a fancy food you never thought you’d ever be able to make. I recently decided to make a croquembouche on a whim. Alternatively, remember that this is a lifetime list. So you don’t want things you can just bang out in a month. One of my goals is to fly on a Virgin Galactic space flight. Probably not something that’s going to happen anytime soon, but it’s a lofty goal to reach for! A better example is my goal to play Augusta National Golf Club. It’s one of (if not the) hardest golf course in the world to play. I’ve essentially spent the last 5 years building my golf brand and contact list in the hopes one day I’ll get an invitation. I think I’m getting closer! 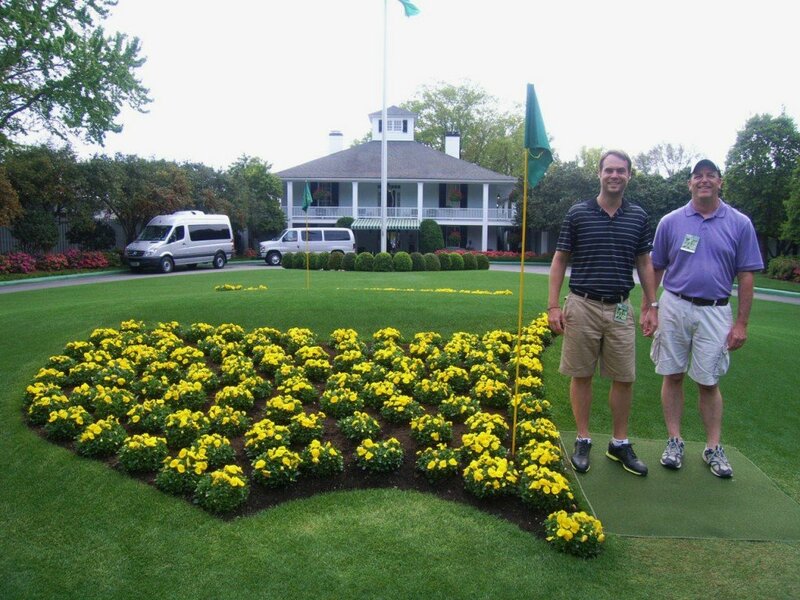 I haven’t gotten to play the course yet, but because of this blog, I was invited to the Masters by L180 reader and now friend, Gene. Then he invited me back. What’s something you’ve said “Oh, I could never do that”? What’s the most outlandish thing you can think of that would give you crazy bragging rights? What major life change would you like to make one day? I’m going to let you in on a little secret to my success. A big part of the reason I’ve done so much over the past 5 years, is simply because I tell people I’m going to do it. The more I do that, the more it seeps into your brain, that maybe it’s actually going to happen. A few small forward steps, and all of a sudden you’re moving to Thailand, taking an epic road trip through Scotland, or running a marathon. 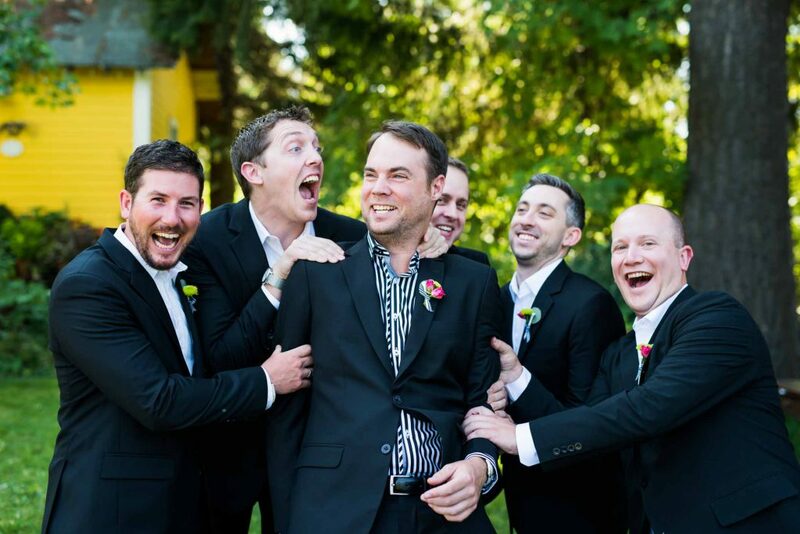 Another example is I’ve jokingly told people for years I wanted to go to Vietnam to get my groomsmen custom tailored suits for my wedding. By saying it and joking about it enough times, it slowly started becoming something we actually considered doing. You do have to be careful though. By telling people about all of the cool things you’re planning you’ll get 90% of the endorphin rush and pleasure that you’d get from actually doing it and telling someone. Don’t fall into a trap where you’re all talk and no follow through – no one likes that guy. Pick a date for a trip you’ve always wanted to take. Start telling people. Start planning it. Even if it seems impossible. You might be surprised how far a little action will go. Email your bucket list to the 20 people closest to you. The easiest way to get started with a bucket list is just to write down all the places you’d like to go or see. That’s great, but be sure to think more broadly. Sure places like the Colosseum in Rome, the Empire State Building in NYC, and the Sydney Opera House are great – but in my experience, many things like that are a bit of a letdown, because you’ve seen them so many times in pictures and movies. It’s the experiences in those places that are almost more memorable (smoke a cigar in Cuba, have a slice of pizza in NYC, scuba dive in the great barrier reef). List 5 big tourist attractions you want to see. Now alternatively write 5 more “experiential” things that could go along with that. Start with those because, for most of us, travel might be the catalyst for wanting to start knocking items off, but it will still represent a relatively small portion of your day to day life. Organize via time frame. This week, this month, this year, 3 years, 5 years, 10 years, 25 years. Make a list of things you’re unhappy with currently in your life. These can all represent bucket list lifestyle changes you want to make. This may seem like cheating, but actually, it’s a great way to kickstart your progress. It can be intimidating to stare at a blank list with nothing crossed off. If you can add a couple items that you’ve done within the last year, it’ll help you to feel like you’ve already made progress and get you going. 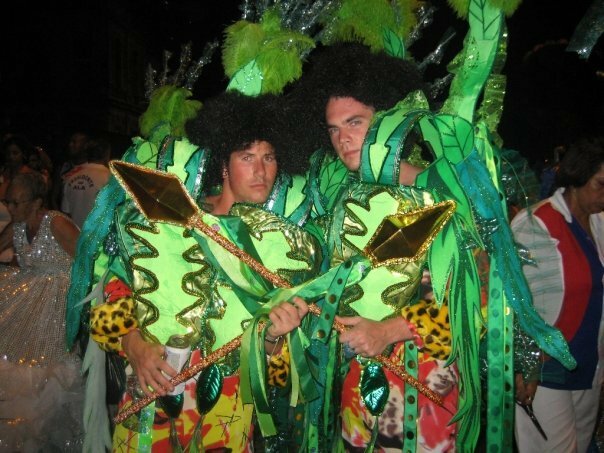 When I first created my list, I had just returned from Brazil, so I added a few things like “Hang Glide over Rio” and “Dance in the Rio Carnival Parade”. Not a bad look for us, eh? Included something easy that you’re about to do. Don’t have anything on the calendar? Get it on there. 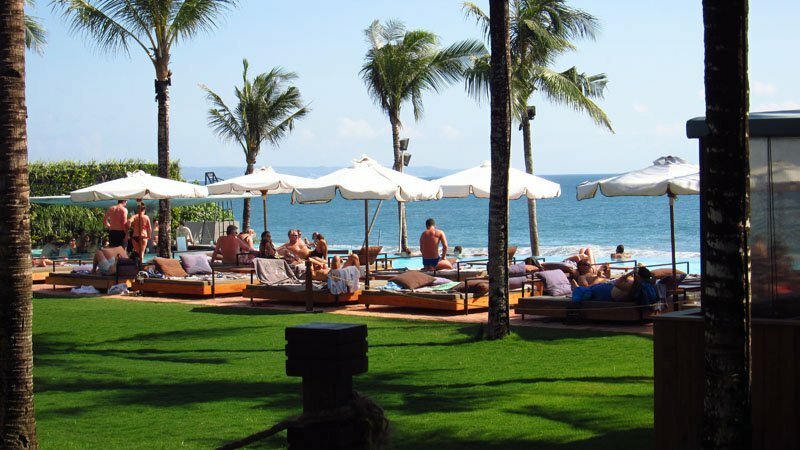 This post has been more about a generic overarching bucket list, but there are all sorts of variations on this that could be a better fit for you. For instance my friend Tonja is counting down the days to her 30th birthday by doing one thing a day that only a twenty-something would do. My golf course bucket list is a great example of this. 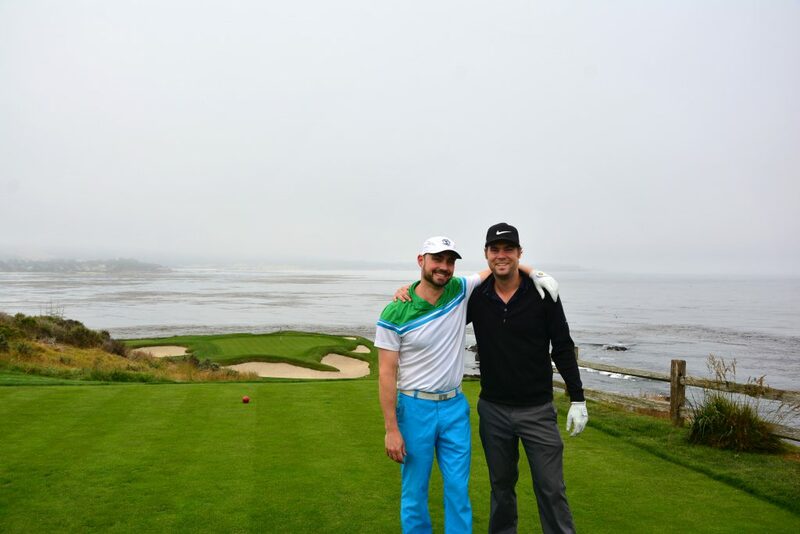 My buddy Dan and I on the 7th at Pebble Beach on of the Top 10 courses in the world. Make a list of your hobbies. Then think of goals or achievements related to that. Would you rather do a shorter timeframe? Think about that and why it is. Then plan accordingly. Use Creative Googling – You’ll find ideas for just about anything you could want to do. Some people will create a list and put it in stone. Over the years both you and your goals are going to change – so your list should as well. Don’t be afraid to add things or take them off if you decide it’s no longer a good fit. Schedule periodic reviews. If something is still on there you don’t want to do, cross it off and replace it with something else. Use other people’s ideas or lists to get started – then slowly add your own stuff as you get more creative. The easiest way to get started is simply to start. This is going to be harder than you think, so do it over the course of days or weeks, rather than get frustrated if you can’t come up with as much as you expected in the first sitting. There’s no such thing as a good or bad bucket list item. Write it down and remember you can always change it later. Do it every day for a week – 10 minutes at a time. Read a couple bucket list books to help inspire you. Remember not to stress about this – It’s supposed to enrich your life, not burden it. 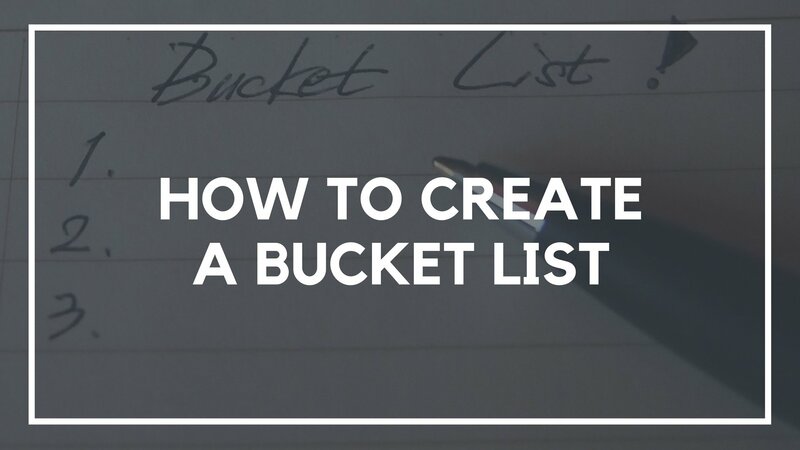 Hopefully, these tips will help you figure out how to start your bucket list and get you closer to doing more of the stuff you want to do in life. When I ask readers the question, “what does your perfect day look like” you wouldn’t believe how many people have no idea how to answer it. They don’t know what they want in life. By writing down your bucket list, you will. Just remember the most important part: hit publish. Hold yourself accountable, tell as many people as possible, and you’ll be on your way to a more exciting and fulfilling life in no time. Our bucket list hub: This has everything you need to get started with your own list, and includes my own personal list. Bucket List Books: Use this list of books to help you get even more inspiration for your own list. 10 Tips for Creating a Useful Bucket List: This is one of the first posts I wrote on this site, and it’s still as useful as ever! If you’re still having trouble getting started after all of that, consider creating a reverse bucket list. This is where you create a list of things you’ve already done. It helps you realize you’ve done more than you think, and it makes it easier to build momentum and come up with things you haven’t done as well. Let’s get started. What’s ONE thing you would put on your bucket list? Am I right in feeling like I shouldn’t even bother creating a bucket list yet? I have plenty of things I’d love to do before I die, but don’t really have the means (namely, money) to do them right now. It just seems kind of pointless to say “I want to travel to x place” when I couldn’t even do it right now if I wanted to. Hey Chris, the sooner the better! Take it from someone who has hit midlife: DO NOT WAIT!!! Time only gets shorter. Many bucket-worthy things don’t require any money at all. Here are a couple of mine: (1) Sleep outside in the snow (2) Write a manifesto (3) Guerrilla-camp in a large city (I’ve done this). Google micro-adventures. You can do amazing things without leaving your city or your job (until you are ready). Have fun!